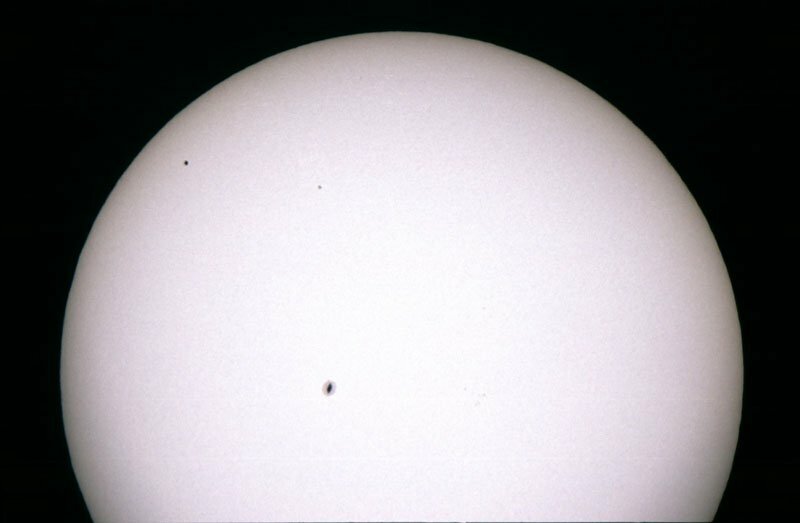 Summary: For 5 hours on May 7, 2003, the planet Mercury passed directly between Earth and the sun. 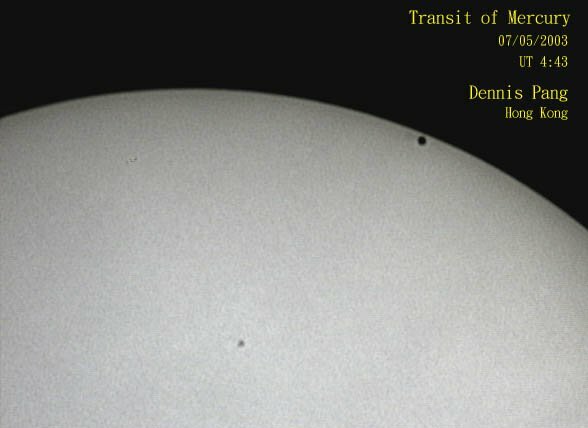 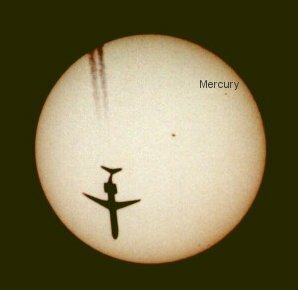 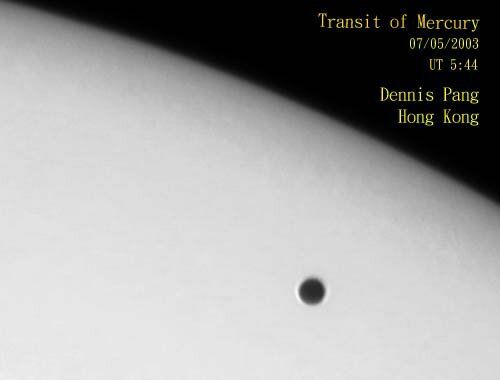 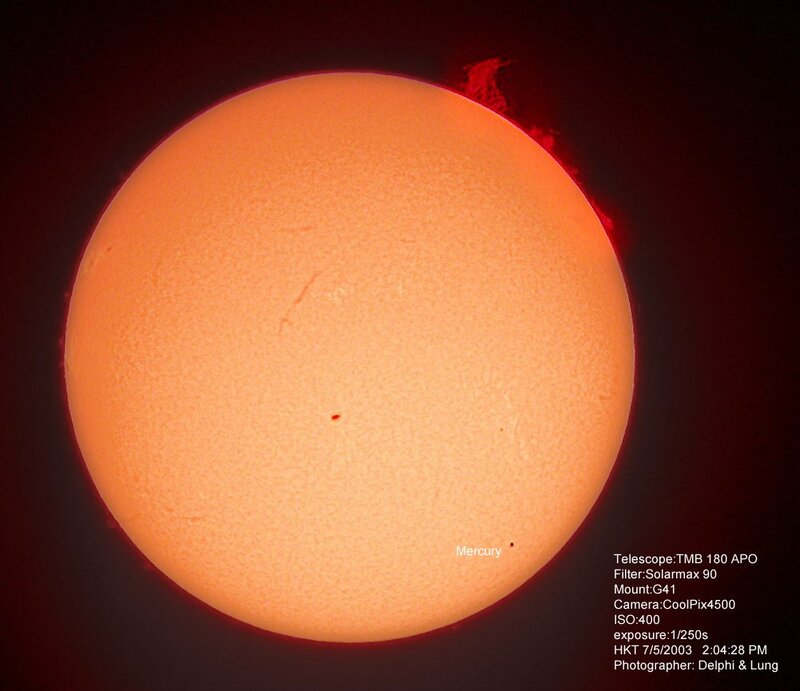 Sky watchers on 5 continents photographed the rare transit. 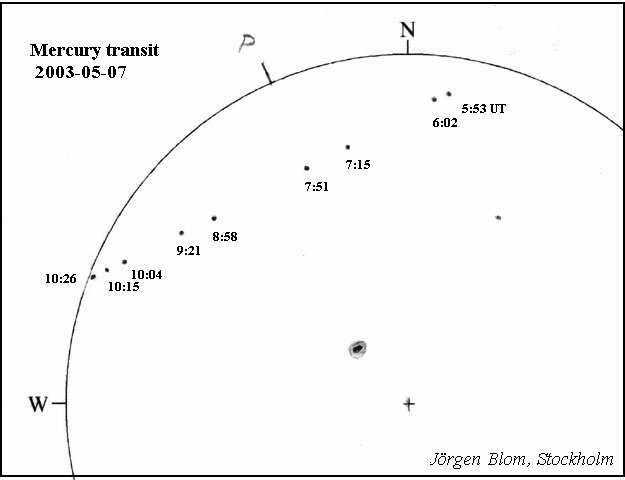 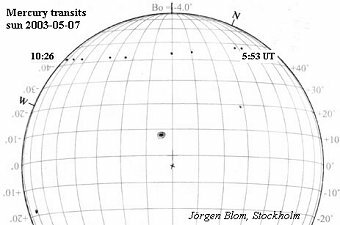 Jörgen Blom made this sketch of the transit from Stockholm. 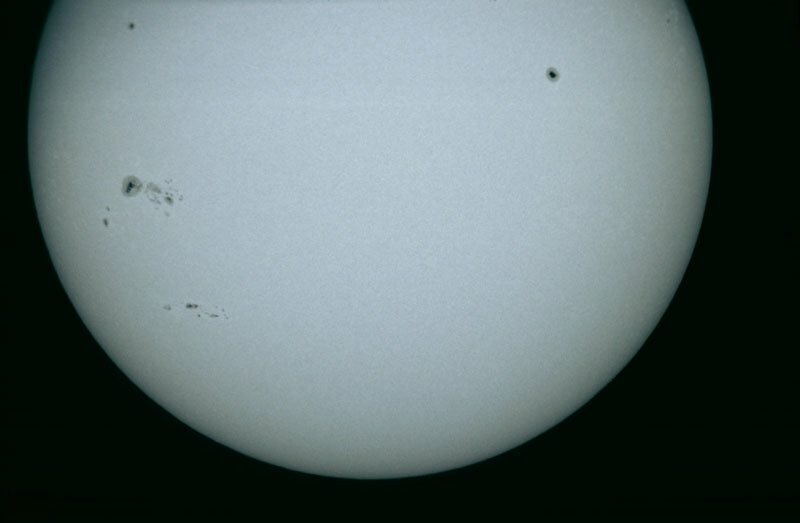 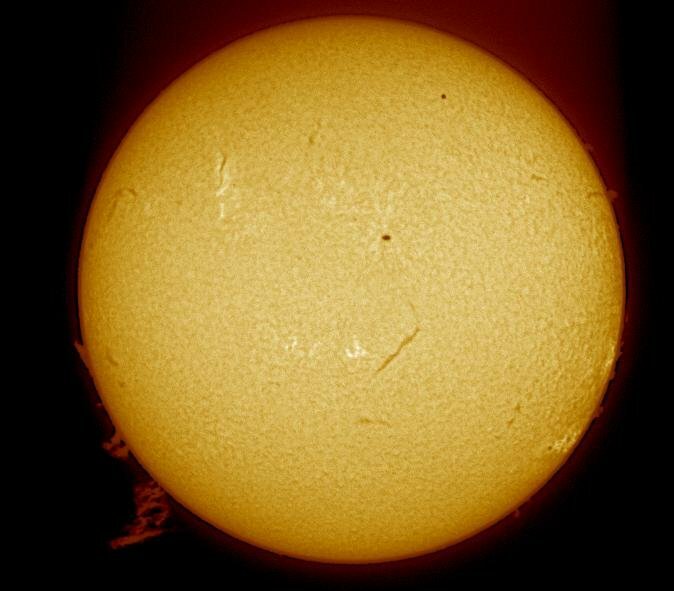 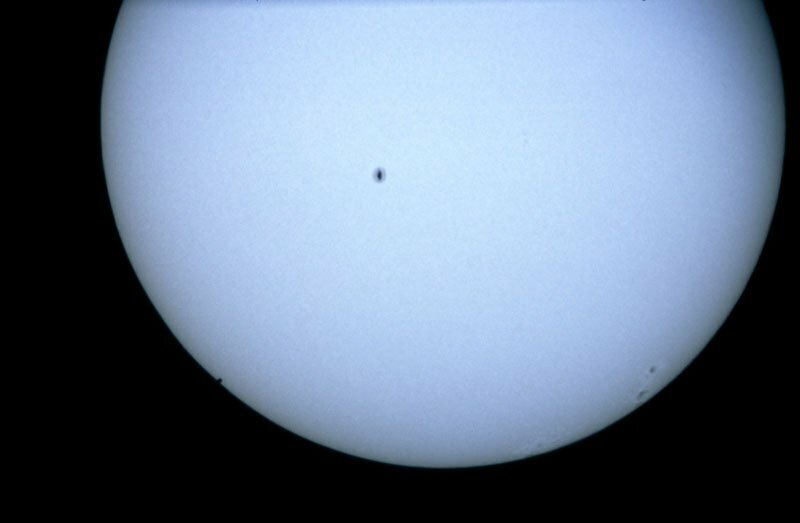 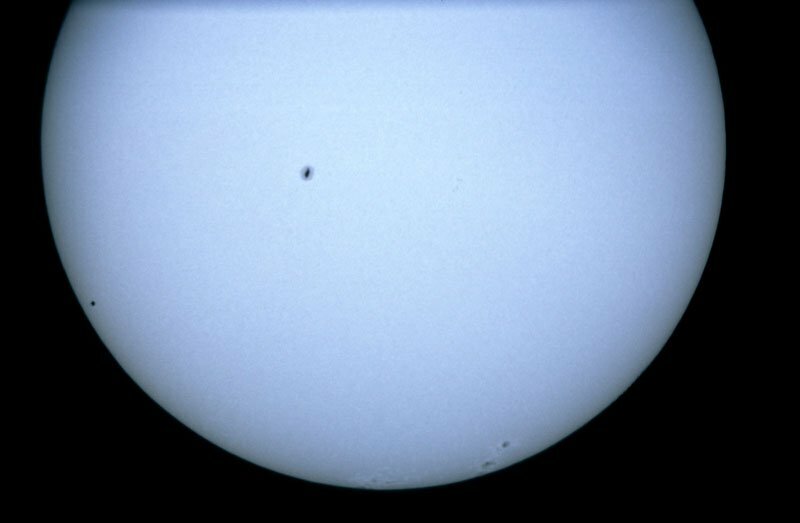 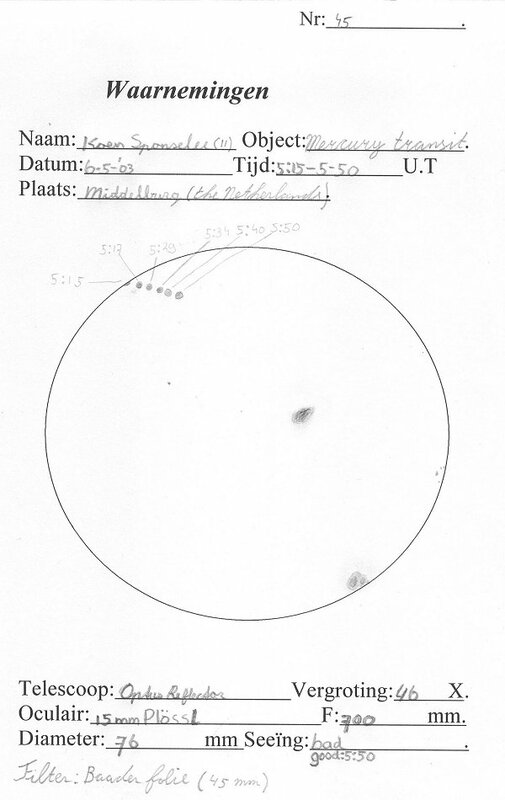 "I was amazed," says Blom, "that little Mercury seemed so large close to the sun's edge, but then remembered that Mercury of course is not on the sun's surface and therefore does not get foreshortened at the sun's edge as do the sunspots." 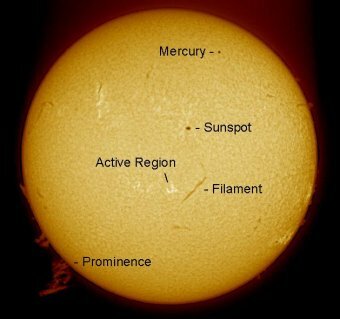 Mercury was easy to see, but "people were generally more impressed with the large prominences visible on the limb," notes Fitzsimmons.